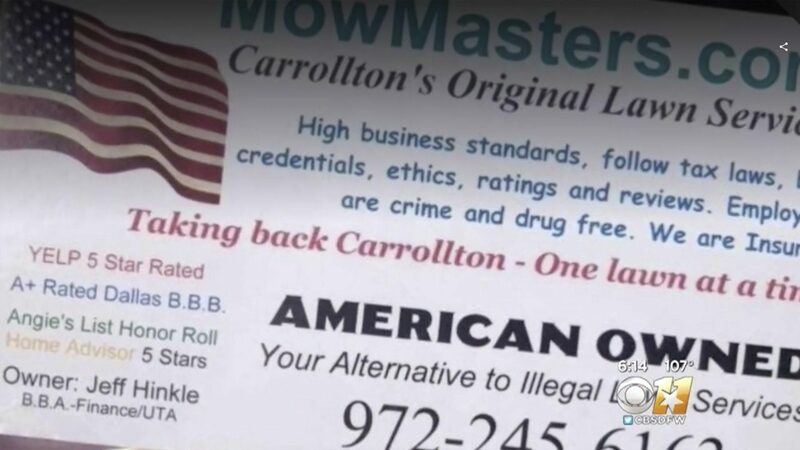 Jeff Hinkle, the owner of a North Texas lawn care company, is under fire for an old sample business card that has resurfaced and caused controversy. What’s on the business card? The sample business card — which Hinkle tells KTVT-TV was from three years ago and was never meant to go public — appeared on social media and caused outrage. 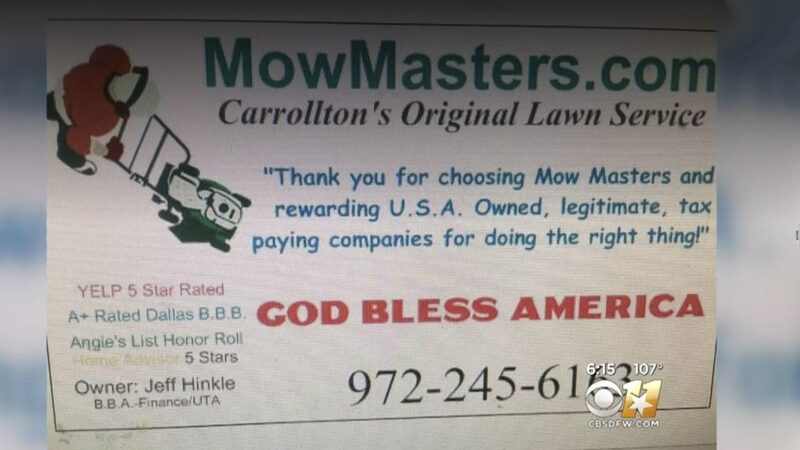 The sample card touts the business as “Carrollton’s Original Lawn Service,” and is specific that the company is American-owned. What did the resident say? According to KTVT, one such person, Carrollton resident Fonzie Guzman, said that he was initially upset when he saw Hinkle’s sample business card, but upon reflection, felt bad for the business owner. “I was upset at first, but once I broke it down, I thought, I feel bad for this guy,” Guzman told KTVT. Hinkle’s new business card — which he sent to KTVT — has no verbiage about immigrants. According to KTVT, Hinkle and his family received death threats, and Hinkle is concerned for the safety of his family.